The chattering class's comparisons of Windows 8 and Windows Vista are premature – it will take several more quarters before we can gauge how Redmond's latest OS will play out in the marketplace. But with the holiday season behind us, it's now plain that Window RT is a flop. 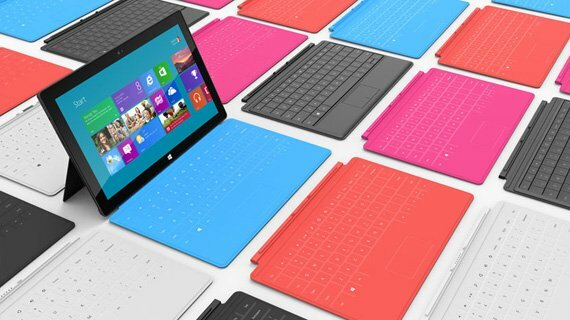 Let's be clear: we're not slagging Surface, Microsoft's design-minded line of convertible tablets. By most accounts, Surface is a compelling piece of kit from a hardware perspective. The prospect of Microsoft launching an Intel-based Surface with Windows 8 Pro later this month should have Redmond's OEM partners tugging nervously at their collars. The problem is that Microsoft chose to launch Surface based on an ARM processor running Windows RT, a misguided stab at a tablet-centric user experience that hoped to capture something of what made Apple's iPad so successful. Instead, Redmond delivered an oddly hobbled OS that's neither fish nor fowl, one that falls somewhere between Windows 8 and Windows Phone 8 – but with the advantages of neither. For all Microsoft's hype around Surface RT, customers aren't buying it – literally. According to the latest estimates from UBS analyst Brent Thill, Microsoft has sold only around 1 million Surface fondleslabs since the line launched in October 2012. And Thill was an optimist; he expected Redmond to shift twice that many. But even sales of 2 million would have been a pittance. Apple sold 14 million iPads in the three months before the holiday season, and that was considered a "disappointing" quarter. So what went wrong? The fact that Surface is a newbie in a market with a deeply entrenched leader takes some of the blame, but that's not the whole story. The ARM-powered Surface falls flat on multiple levels, and any other vendor who tries to sell a Windows RT device will face the same problems. Before the Surface launch, gadget fans were rubbing their hands at the prospect of a Windows-powered fondleslab at a price that would compete with the likes of Google's Nexus 7. Lenovo, one of Microsoft's OEM partners, said to expect a raft of Windows RT devices priced as low as $300. Some analysts predicted Surface would be even cheaper. No such luck. Instead, Surface RT arrived with a price tag of $499 for the lowest-end model – the one without a keyboard. Other vendors followed suit with their own Windows RT devices priced the same or even higher. Lenovo's IdeaPad Yoga 11, for example, lists for $799 – a far cry from $300. Just why Windows RT slabs cost so much isn't clear. Maybe system requirements make high price tags necessary. Maybe Microsoft's license fees have something to do with it (in addition to the OS, all Windows RT devices include a copy of Office 2013). Whatever the reason, the prices don't make sense. Customers would be better off waiting for tablets based on Intel's new "Clover Trail" Atom platform, due this year. They'll cost about the same as today's Windows RT devices, but they'll have beefier specs and run full Windows 8. One analyst suggested that if Surface RT is to be competitive, Microsoft needs to cut its price down to at least $399. Even that sounds a little high to us. Play with a Surface RT for a few minutes and you're intrigued by how sophisticated and fun it seems. Use it for a few hours or days and the charm soon wears off. Again, the problem isn't the hardware but the Windows RT operating environment that runs on it. Sure, it comes with Microsoft Office – almost. The version that's bundled with Windows RT can't handle any add-ins, and it doesn't support documents or templates that include macros. Power users will not be impressed. What's worse, you're not allowed to use it in a business setting without purchasing a separate, commercial-use license – technically, at least – so there goes some more cash. But the real problem is that – with the exception of Office – the only programs that will run on Windows RT are apps from the Windows Store. A recent jailbreak hack that allows users to load desktop apps is largely academic, since only Windows programs that have been compiled for the ARM architecture will actually launch – and there aren't any. That leaves Windows RT users with few options. Microsoft isn't saying how many apps are in the Windows Store, but according to the independent website MetroStore Scanner, there are fewer than 40,000. Even Research in Motion's BlackBerry 10 platform has more developer engagement than that, and it hasn't even launched yet. Worse, from what we can see, only a fraction of Windows Store apps are actually useful. Many are outright junk – although Microsoft seems to be working on pruning those out. Of the top 30 highest-rated apps, more than half are published by Microsoft itself, and many of those come bundled with the OS. When third-party apps do add value, they often feel half-baked, with details glossed over and major features missing. Many of the ones we've tried simply aren't as good as similar apps for other mobile platforms, and they're certainly not as good as the software we're accustomed to using on Windows.